Matthew and Dean get into tribalism, savagery, and the primal reality of living in the American frontier. Where is the line between nature and civilization? “You are always a breath away from being out there.” Matthew proclaims, and Dean agrees. 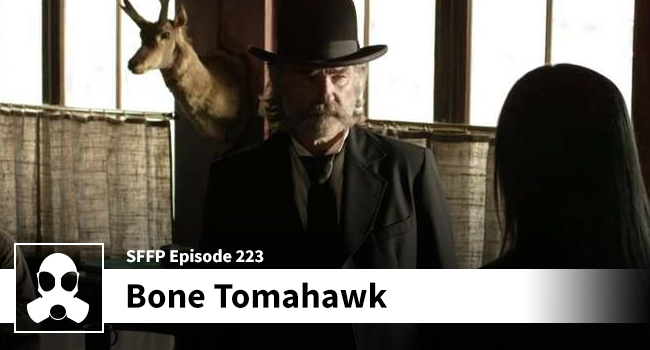 The lads also ponder why Bone Tomahawk wasn’t talked about more, and they ask the question, “Is the brutality over the top or does it work in the setting?” All this and more with this week’s discussion of Bone Tomahawk.